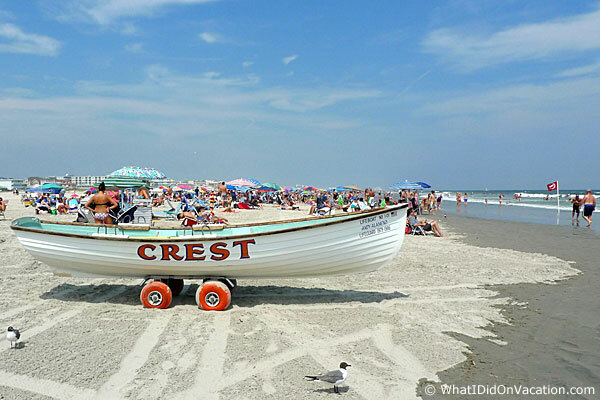 The beach scene in Wildwood Crest, New Jersey. 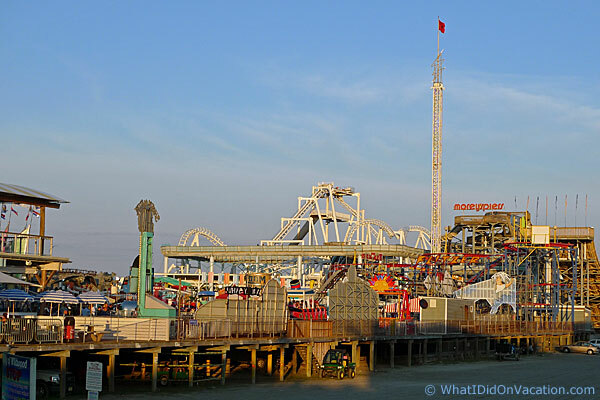 The dual attractions of the Beach and the Boardwalk is what drew the WhatIDidOnVacation.com team to the Wildwoods resort island again. 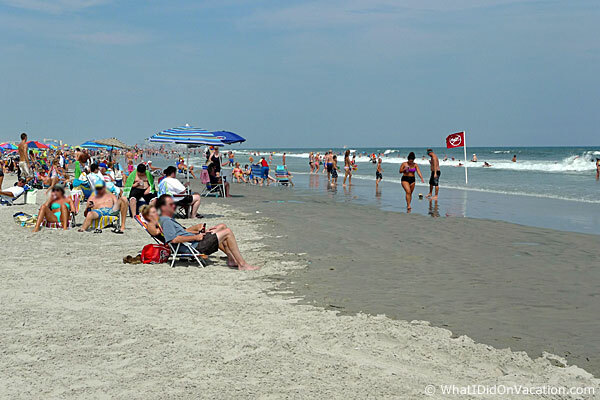 The Wildwoods allow us to experience our favorite type of vacation. 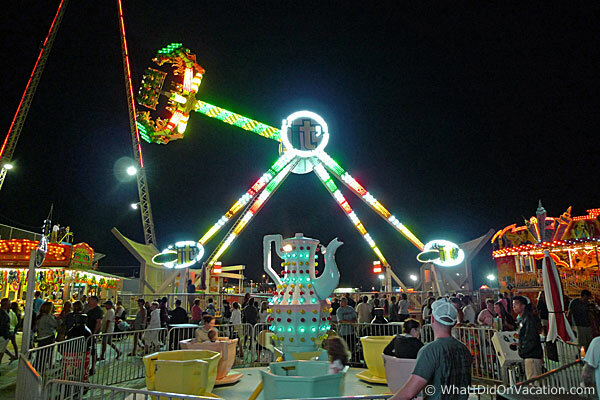 Waking up whenever, lazing around on a lounge chair on the beach all day, and then visiting the boardwalk at night; all without the need to make any plans whatsoever. 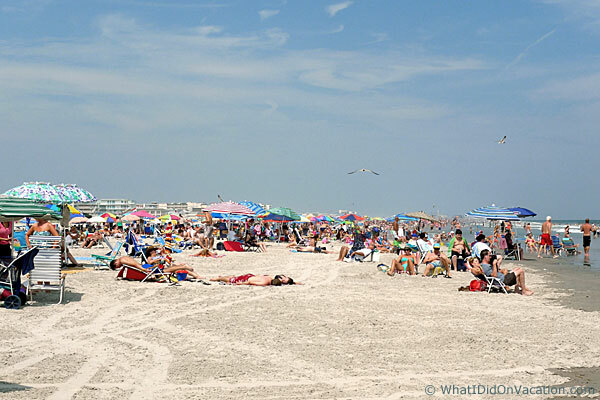 This is the type of vacation enjoyed in the Wildwoods. 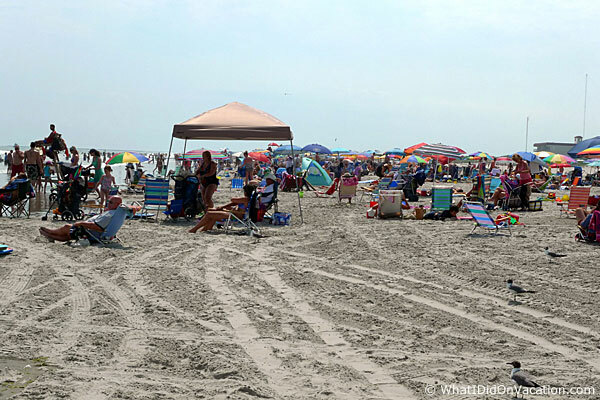 A colorful shot of the crowded beach. The red team's flag has been left unguarded. 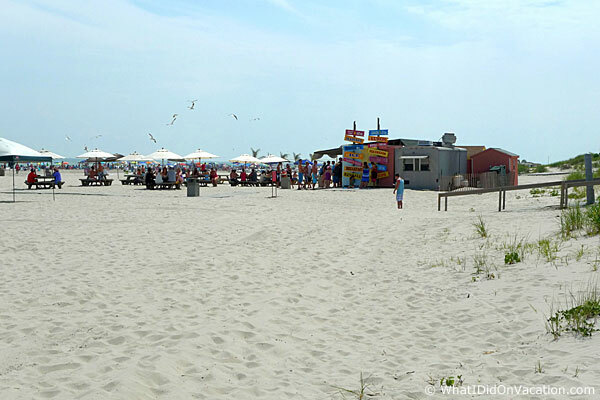 On the south end of the Wildwood Crest beach is Diamond Beach. 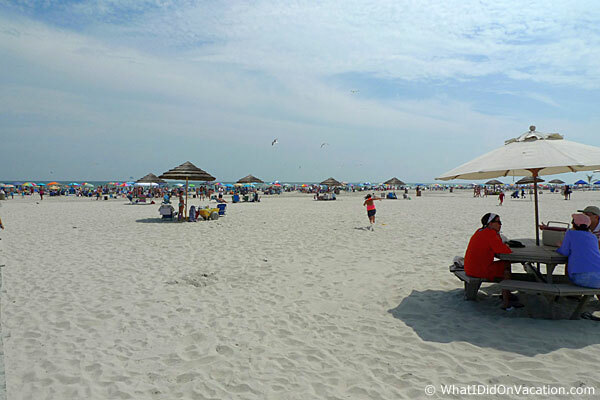 Diamond Beach is a privately owned beach that is restricted to residents and guests. 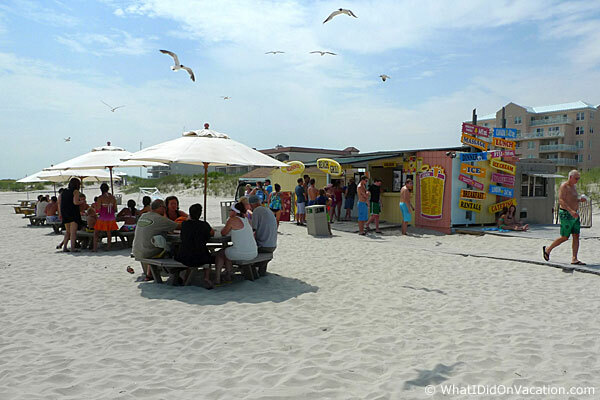 The Seapoint Beach Grill on Diamond Beach is open to the general public. Please don't feed those darned birds. The general public is not allowed to venture beyond this point. 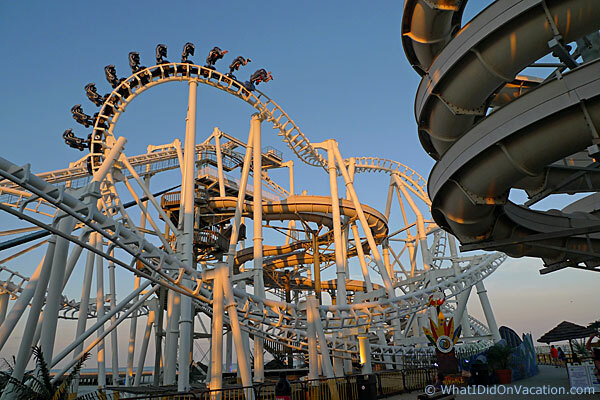 We've previously posted an extensive tour of the Wildwood Boardwalk. 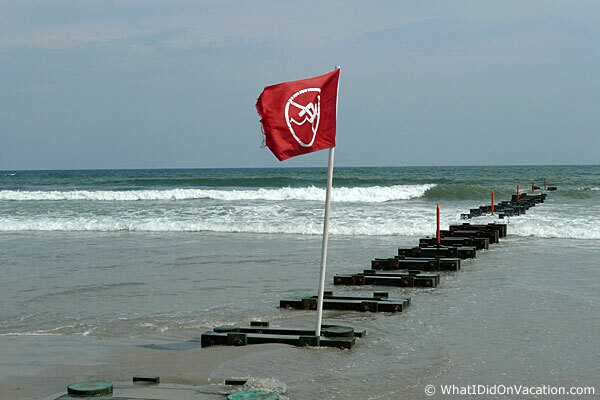 That report starts here within our Wildwood 2012 Vacation Report. 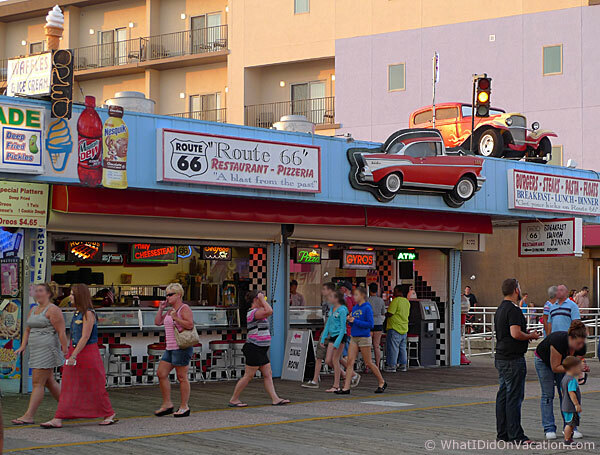 We do want to make note of something we discovered this year concerning the parking for the Boardwalk. Parking rates on Saturdays are through the roof. 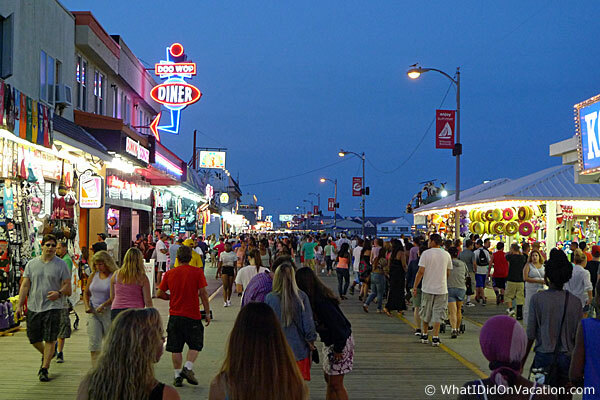 $20 was the going rate to park anywhere near the boardwalk on Saturday night. However, during the week, those same lots charge only $5 to $8. 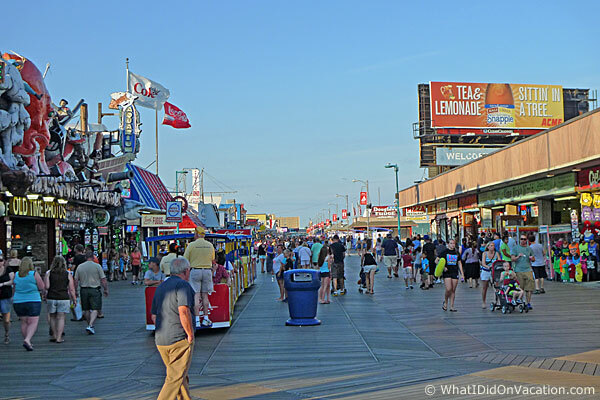 We suggest walking to the boardwalk, if possible, or taking the trolley. The Surfside Pier as seen from the boardwalk. The wildly bent track of the Great Nor'Easter. 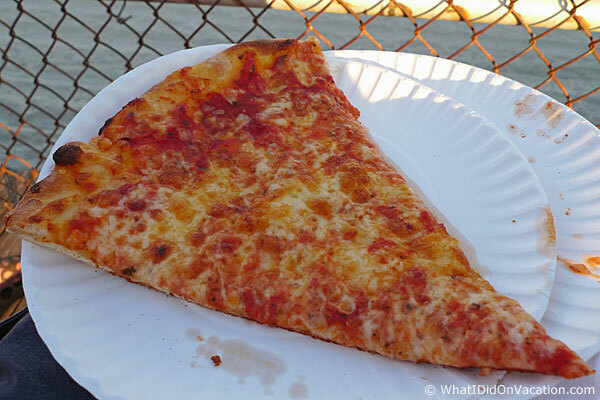 Mmmm, a slice of Mack's Pizza. 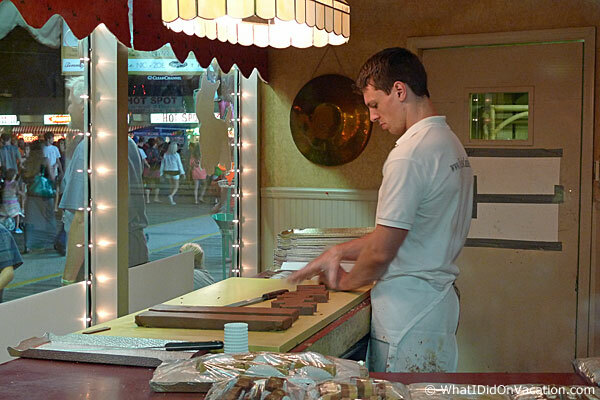 Our favorite pizza found on the Wildwood Boardwalk. 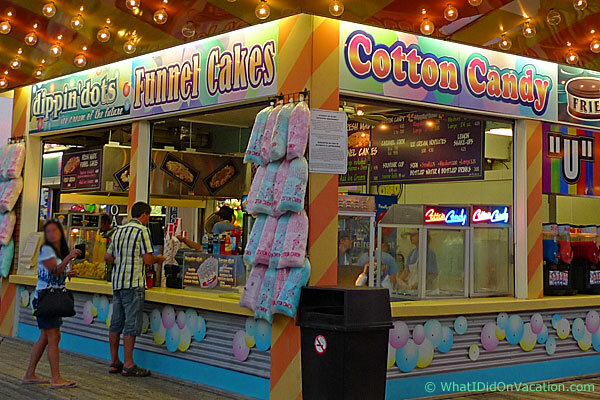 Some fifties nostalgia on the Wildwood Boardwalk. 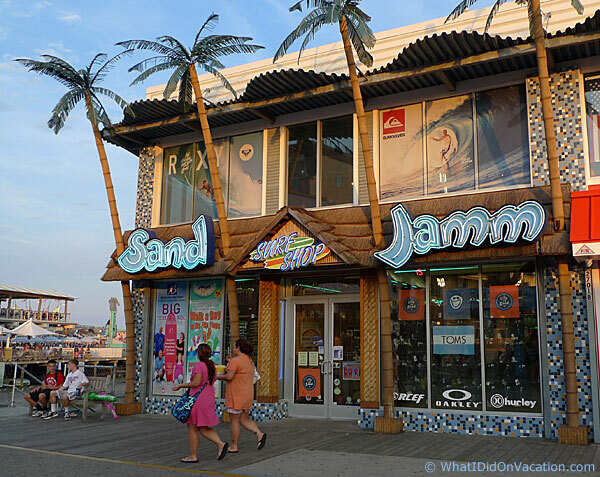 Themed shopping on the boardwalk. Shirts with funny sayings found at shops on the Wildwood Boardwalk. Or what some people call dinner - don't judge. 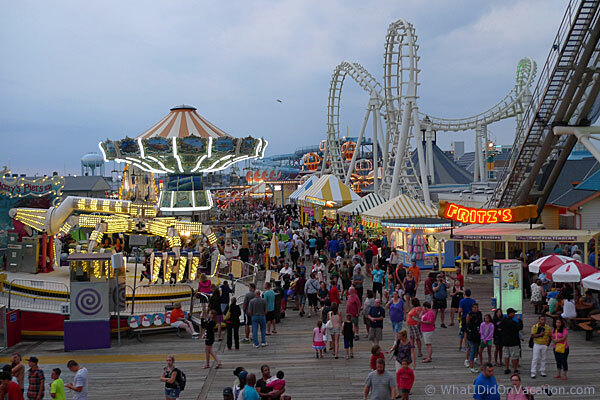 The wondrous Wildwood Boardwalk at dusk. 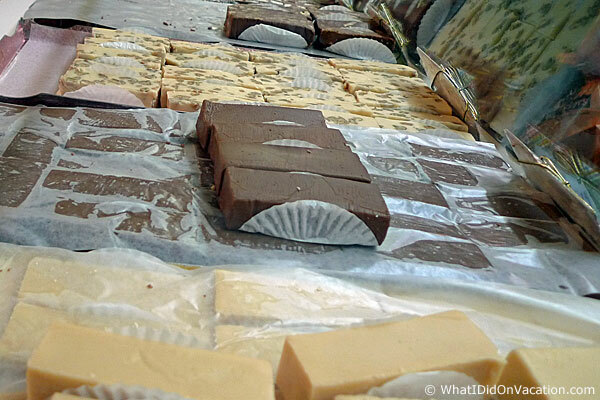 Preparing the fudge at Douglass Fudge. 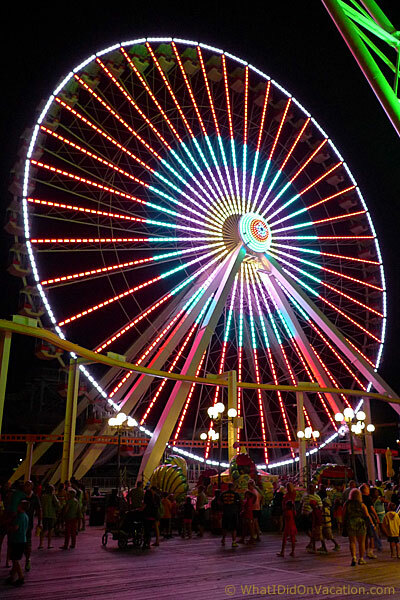 The Giant Wheel on Mariner's Landing Pier. 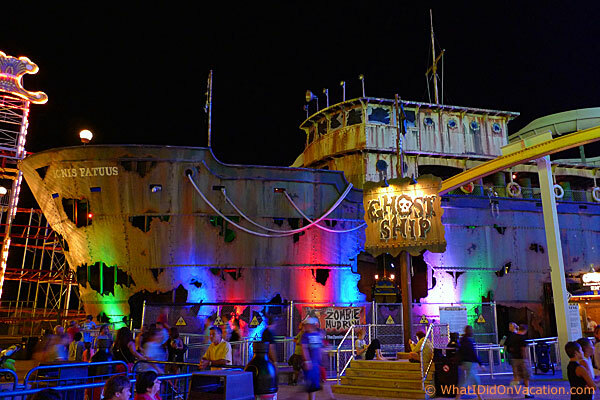 The iconic Ghost Ship on Mariner's Landing Pier. 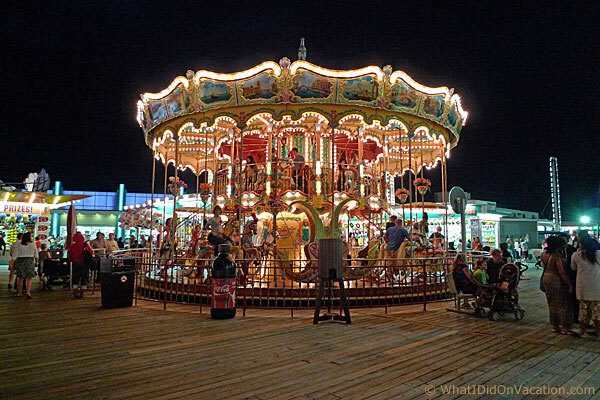 The carousel on the Surfside Pier. 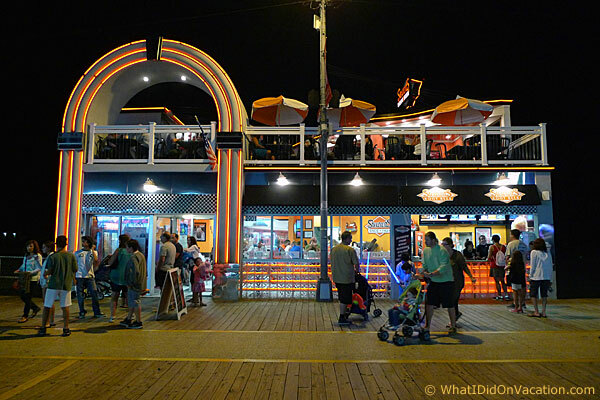 The Surfside pier at night. Watching "IT" throw some people around. 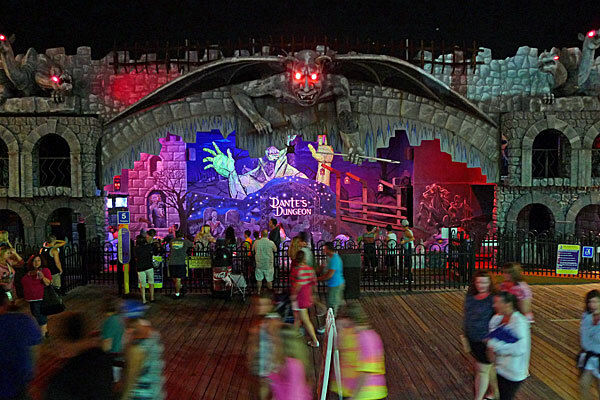 Dante's Dungeon ride-through haunted house on the Surfside Pier. The doo wop, juke box themed Stewarts restaurant and takeout stand.